(Feb. 8) To spur more farmer and other locally-owned energy projects, Congressman Jeff Fortenberry (R-NE) has introduced the Rural Energy Equity Act. The legislation removes a key obstacle to financing local ownership of these projects with Rural Energy for America Program (REAP) grants. Current tax rules undercut the value of REAP grants for community wind and other locally-based energy projects. That’s because two critical funding programs – REAP and the federal Production Tax Credit (PTC) – conflict. PTC regulations reduce the value of the REAP grant by as much as 50 percent, which is a serious problem. This “haircut” reduces the capital investment that local investors can bring to the project, lowers the value of the PTC credit to corporate investors (and therefore reduces the project’s financial returns), and delays the time at which project ownership “flips” from the corporate developer back to the local owners. 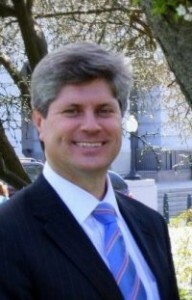 Representative Fortenberry’s Rural Energy Equity Act (H.R. 277) would solve these problems by exempting REAP grants from the PTC offset. This would ensure that REAP grant recipients receive the entire grant amount to which they are entitled and inspire corporate investment in locally-based community energy projects. Fortenberry’s common sense solution will facilitate financing for a host of farm energy technologies including wind, manure digesters and other biomass energy. Representative Fortenberry sponsored similar legislation in the last Congress with Representative Herseth Sandlin (D-SD), who did not win re-election. Representative Fortenberry needs your help – he is now seeking co-sponsors for this important legislation to help move it forward. You can ask your U.S. Representative to sponsor H.R. 277, here.